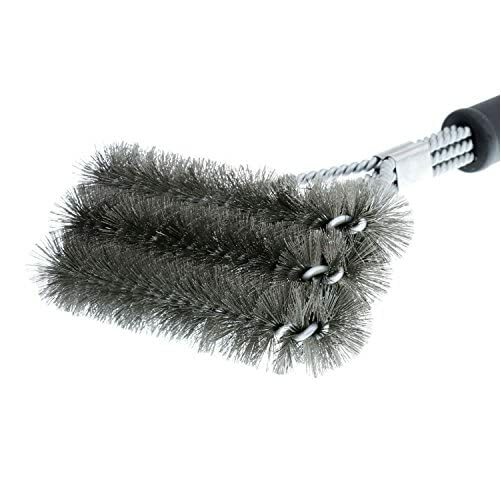 THE EXPERTS CHOICE FOR PERFECT GRILLING: A premium heavy duty high performance stainless steel 3 in 1 barbecue grill cleaning brush with a horizontal triple head, that’s made for cleaning burnt on residue from a grill grate extremely fast and easy, while also achieving a much better cleaning result than other grill brushes. This sturdy durable 18″ grill cleaning brush has an elongated handle that keeps your hands safe from the heat while scrubbing. 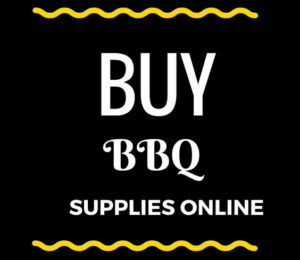 SUPERIOR QUALITY and DESIGN: Grilling should be fast, easy and enjoyable, and using our brush will allow you to get to grilling sooner, and with a cleaner grill! 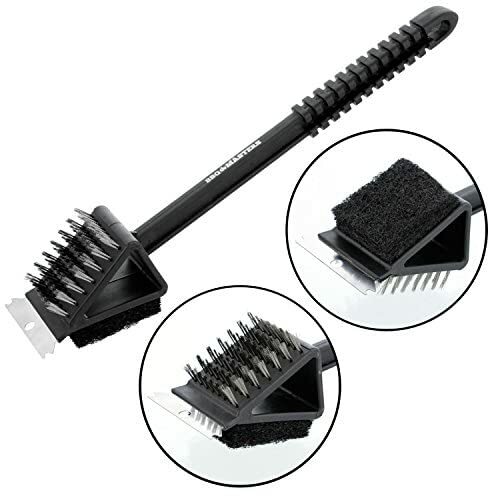 The 3 rows of firm stainless steel bristles provide triple the surface area cleaning with each stroke. The quality brush heads allow you to quickly remove burnt on residue from all sides of the grill grates. 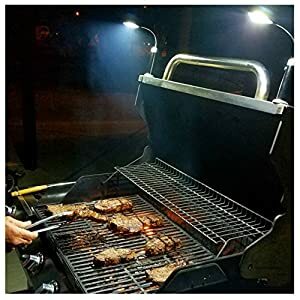 SAFE FOR ALL GRILL TYPES: Clean every grill type like charcoal, gas, smoker, porcelain, ceramic, infrared and all other types. 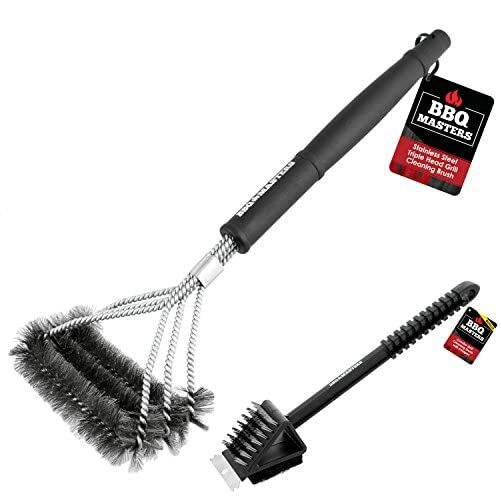 EXTRA BONUS COMBO BRUSH: The bonus grill cleaning brush features a combo 3-in-1 head with a scrub pad, stainless steel bristles and a scraper to remove and clean residue from all the grills surfaces. 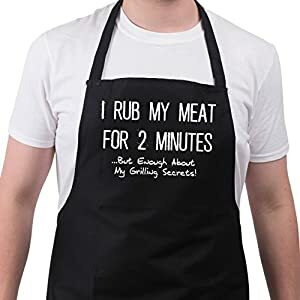 MAKES THE PERFECT GIFT: An excellent gift for any grilling enthusiast or to inspire a future BBQ Master! 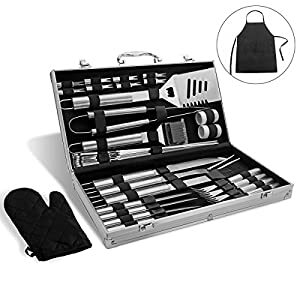 This amazing barbecue grill cleaning brush set is the ideal gift for special occasions like birthdays, holiday’s and father’s day. 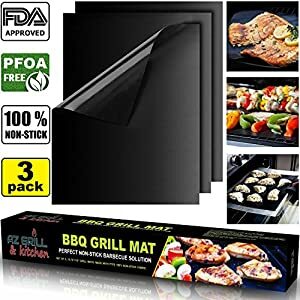 RISK FREE PURCHASE – 100% LIFETIME SATISFACTION GUARANTEE: Buy with confidence, if you’re not satisfied with this item at anytime, we’ll provide a refund or replacement.